When we went to California for Christmas, we were so lucky to be able to visit my friend Meghan and her brand new little guy, Felix. I had pinned this website a while back and used her pattern as my template. I actually made one tie onesie a couple months ago for my nephew, so these were my second and third. I made one with a cute snowflake pattern for the winter months (but still short sleeved since they live in LA) and another with an Illini pattern because she is an alum and a huge supporter! I ironed Heat 'N Bond onto the fabric, traced the pattern, and cut out the tie. Then I ironed the tie onto the onesie. I used a zig zag stitch a little squished together (I'm still a newbie at sewing and don't know the technical words!). 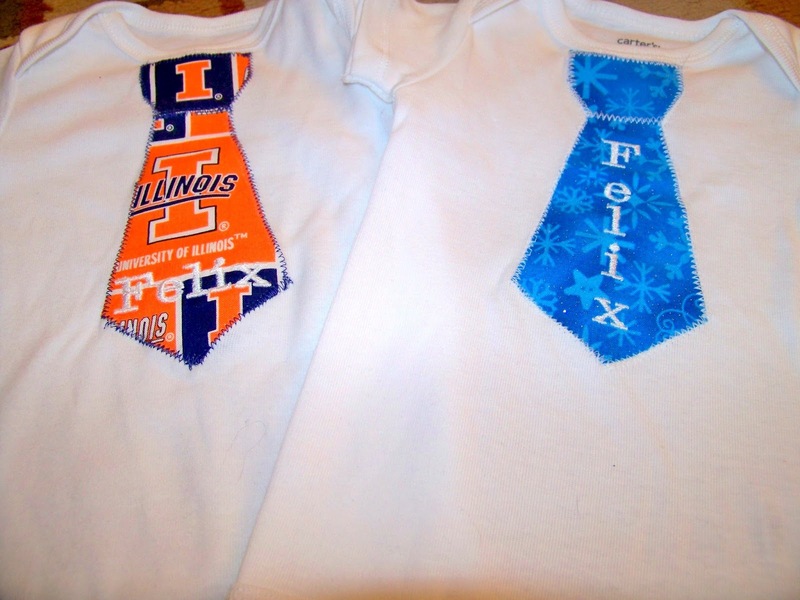 I didn't do so hot on the Illini one, so I had to go over it twice. The snowflake one was a little better sewing! This was a simple project that I was so excited to make! 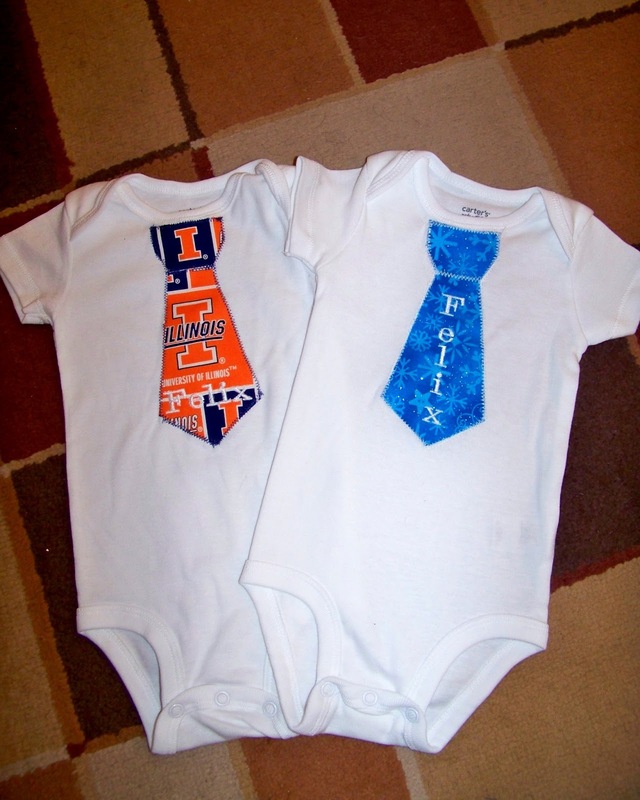 I can't wait to see a photo of the little wearing his fan wear!